Being a part of Cincinnati metropolitan area, Hamilton city is well known as an Advanced Manufacturing city. Information technology, telecommunication, Logistics, and Healthcare are some of the other industries, which are thriving well in the city. The existence of Enterprise and Technology parks in the city has boosted its image as one of the popular business destinations in the world. KnowledgeHut academy has realized the importance of skilled resources and consequently introduced the CSD certification in Hamilton. The CSD training in Hamilton is a 5-day course conducted by experienced trainers, which covers Essence of Agile; basics of Scrum, Roles, Ceremonies, and Sprint. The syllabus also comprises of CSD elective topics such as Acceptance Test Driven Development, Behaviour Driven Development, Gherkin, Fitnesse and Selenium. The CSD certification in Hamilton is well-delivered with the help of organized lectures and practice sessions as they go hand-in-hand. SOLID design principles, Design patterns, team/customer collaborations are some of the other topics covered during course. The CSD course in Hamilton involves discussions on continuous testing, inspection, deployment, and feedback. 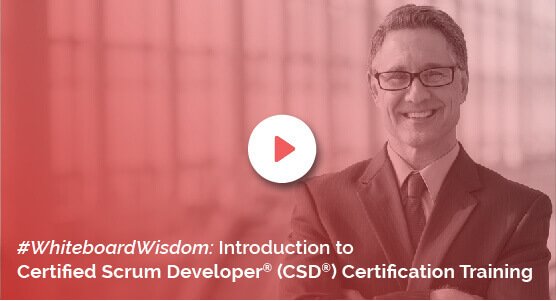 Along with cost-benefit, the certified scrum developer training in Hamilton by Knowledgehut Academy provides 40 PDUs and 40 SEUs, depending on how many days of training the participant has successfully completed. You will also learn how to cut down reworks, how to prevent potential impediment, avoid overdesign, use best practices to create a quick software etc through intensive workshops. You will be happy to know that the course fee is inclusive of exam fee. You can complete the Certified Scrum Developer certification in Hamilton either through e-learning or go for classroom sessions. To explore more about CSD training in Hamilton, register for a demo session.